The First World War was an incredibly destructive and wide ranging catastrophe. Not only did it dramatically change the map of Europe and the world, it ultimately led to further instability and a second world war. There has long been a debate about the exact cause of the First World War. The assassination of the Archduke Ferdinand triggered the war but its ultimate causes were far more complex. These works all tend to agree that no government wanted to start a general war in Europe and dismiss the old idea that Germany was solely responsible for the war. They books shift blame for the immediate start of the war either on the miscalculations or errors of judgments of politicians. They also all agree that nationalism and international rivalry encouraged reckless decision making by governments and the militaries. Barbara Tuchman. 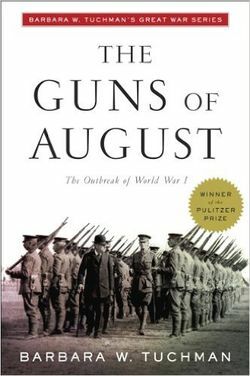 The Guns of August (1962) Barabara Tuchman's Pulitzer Prize winning book narrates and analyzes the immediate causes of the war. She discusses the strategies and policies of all those involved in the declaration of war. The book is a work of diplomatic and political history and Tuchman outlines the series of errors that according to her led to the onset of war. She asserts that none of those involved envisaged that any conflict in 1914 could become a global conflict. Tuchman believed that politicians and soldiers underestimated the possibility that Europe could descend into a general war. Politicians miscalculated that economic ties would mean that war would be averted because all the European nations were economically interdependent. The military mistakenly believed that any conflict would be limited. These miscalculations resulted in politicians and generals making decisions without considering their impact and this was to plunge the continent into war. Fay, Sidney, The Origins of the World War (1929) This book was written in the immediate aftermath of the war. It is a two volume work, the first dealing with the underlying causes of the war, which were nationalism and a fundamentally unstable international system. The author believed that the short term cause of the war was the assassination of Archduke Ferdinand in Sarajevo. This assassination was part of a plot by the Serbian terrorist group the Black Hand. Fay, showed that a single event, the assassination led to a series of events over a period of weeks that led to the outbreak of war. Government mishandling of these events were another important factor in the outbreak of war. Gordon Martel. The Origins of the First World War. (2001) Martel summarizes and analyzes the policies and errors of judgments that led to a war in Europe. He provides an overview of the system of alliances in Europe prior to the war and how this system dominated international affairs. Martel explains the position of each of the great powers and how they saw the system as protecting their interests. The author shows that the system of alliances was fundamentally unstable. This was demonstrated when the assassination of Archduke Ferdinand led to its collapse. For Martel the alliance system in Europe, designed to create a ’balance of power’ and secure the peace, was fatally flawed and ultimately plunged Europe into the most barbaric war in centuries. Christopher Clarke. 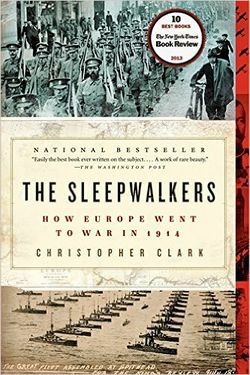 The Sleepwalkers: How Europe Went to War. (2014) Clarke concentrates on the political decisions that led to the outbreak of war. He argues that none of the leaders were interested in starting a general war. All the leaders wanted peace. However, they made a series of mistakes and errors in their policies that led to misunderstandings and mutually suspicions among the competing nations. When Archduke Ferdinand was assassinated these led to the declaration of war. According to the thesis in this book, Europe was led into war by a series of political and diplomatic blunders. Sean MacMeekin. The Russian Origins of the First World War (2013). According to the thesis in this work, it was Russian statesmen who unleashed the war through their conscious policy decisions based on imperial ambitions in the Balkans. The Russian Empire had ambitions in the Balkans and especially wanted to conquer the Bosporus in the Ottoman Empire. The Tsar and his ministers saw the assassination of Archduke Ferdinand as an opportunity to achieve their aims. They used their alliance with France and Britain to ensure that Germany would not threaten Russia. However, the Russians only sought a local war in the Balkans and did not want a general war. They tragically miscalculated impact of their decisions. Anika Mombauer. 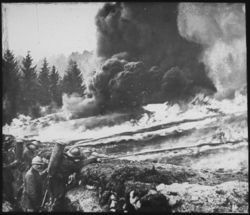 The Origins and Cause of the First World War: Controversies and Consensus. 2002 This book provides a general survey of the theories on the causes of the First World War. It discusses the long term causes of the war, including nationalism, militarism and an inherently unstable international system. It discusses the traditional theory that the war was caused by German aggression. The book also considers how ‘revisionists’ have disputed this theory and attribute the cause of the war to other factors. William Mulligan. The Origins of the First World War. 2010 William Mulligan argues that the war was a far from inevitable outcome of international system. He also does not believe that the war was down to German aggression. A chance event, namely the assassination of Archduke Ferdinand led to a series of events and poor decisions by governments and diplomats that led to a brutal war. 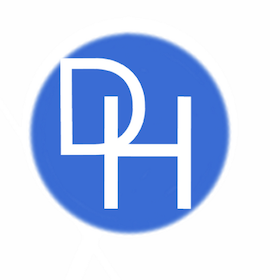 The author demonstrates that politicians and diplomats can have limited control over events. Stevenson, David, Cataclysm: The First World War as Political Tragedy. 2005 Stevenson believes that the traditional view that politicians lost control of events and that German aggression was responsible for the war are wrong. He believed that governments took risks during after the assassination of Archduke Ferdinand. They were intent on furthering their own interests and engaged in irresponsible behaviour. For example, the Austro-Hungarians unrealistic demands on Serbia, after the assassination were typical of the reckless policies that plunged Europe and the world into war. Steve Miller (editor) Military strategy and the origins of the First World War (1991). The book includes Paul Kennedy's "The First World War and the International Power System," Michael Howard's "Men Against Fire: Expectations of War in 1914," Stephen Van Evera's "The Cult of the Offensive and the Origins of the First World War," Jack Snyder's "Civil-Military Relations and the Cult of the Offensive, 1914 and 1984," and Richard Ned Lebow's "Windows of Opportunity: Do States Jump Through Them?" In all the essays they show that politics obliged the military to adopt strategies that were offensive in nature. When a diplomatic crisis did occur it resulted in the continents militaries, especially Germany’s going on the offensive and this triggered a general war in Europe.